Synergise has been a long popular training tool for Google Apps. It provided interactive training and walkthroughs for organizations at a nominal fee. Last Spring, Google acquired Synergise in order to offer this support to a broader audience – for free. Now, your institution (Google Apps for Education/Work/Non-Profits) can roll-out this in house training system for free under the rebranded “Training for Google Apps.” It’s a great resources for your users and allows them to expand and self-direct their training. To use this feature, your Google Apps administrator will have to install it using Google’s Marketplace Apps. Next, they can either force-install it as a Chrome Extension for the institution, or direct users to install this tool via the Google Chrome webstore. Training for Google Apps also allows you to shape your organization’s support system by recommending lessons, adding your own content, and running reports. This is a great way for you to provide scaled and relevant support for your school or workforce. This entry was posted in Education, Educational Resources, Educational Technology, Google, Technology and tagged EdTech, Education, Education Technology, Educational Resources, Educational Technology, Google, google apps, Google Apps for Education, Google Docs, google drive, Professional Development on August 29, 2016 by Jennifer Carey. Over the last year, Google has showered Forms with a lot of attention and, as a result, has enjoyed numerous, productive updates for educators. I use Google Forms regularly in my school and now more than ever, it’s become instrumental for both my academic as well as administrative duties. Here are five ways that you can use Google Forms in your school. I’m a fan of bell ringers and exit tickets. Bell ringers are a great tool to check for understanding and to get my students in the mind-set of the class. Exit tickets are a great way to check for understanding at the end of a lesson. With Forms, you can post an assignment for students to complete when they walk in the door or a quick quiz to assess them at the end of a lesson. 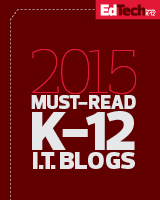 If your students are in a 1:1 environment, you can email the form to them. You can also distribute the form with a shortened URL (using a tool like Google’s URL shortener, goog.gl) or even post a QR code for students to scan with their smart phones. New Forms now includes a “quiz” options so that students can be assessed once they hit “submit.” To activate this feature, click on settings (the gear icon) and select the “quiz” option. You can then select whether or not students get feedback right away, what answers they see, and more. If you take field trips or want to keep an emergency packet, Google Forms can be a great way to collect emergency contact information from parents and guardians. Simply create a Google Form that asks for names, phone numbers, and email addresses. As Google Forms collects this data into an aggregated spreadsheet, you have access to all of the information in one place. If you have teaching assistants, parent volunteers, or chaperones, you can share out this information using “view only” mode in preparation for field trips or emergency planning. A nice feature here is that phone numbers collected in spreadsheets serve as a “hot-link” on phones; click the number and it will auto-dial! Feedback is an important tool for both students and teachers. If you are trying out a new lesson or project, wanting to hear how students feel they are learning, or otherwise collect feedback, Google Forms is a great way to do this. Using Forms, you can make the feedback anonymous or collect user data, give open ended options or scale responses to a list or a grid. I periodically collect feedback just to take the pulse of my classroom and to improve on my teaching methods. I love to make students teach in my class! Often, I will break down a large subject into various, smaller topics. Using Google Forms and the add-on Choice Eliminator, I can not only ensure that my students sign up for a project, but that they each select a unique topic. To use this feature, be sure that you have the add on Choice Eliminator (you can access it in the Chrome Web Store). Choice Eliminator will remove question options (check box and multiple choice) once a user has selected it. To access your add-ons, click on the Add-On button (it looks like a puzzle piece) and select “Choice Eliminator.” Select “configure” and then choose the questions you want use Choice Eliminator on. If you need a little extra help, check out the Choice Eliminator tutorial below. Do you need to find volunteers for prom, to count votes for an election, or chaperone the class volunteer trip? Google Forms is a way to collect volunteer information, have them sign up for shifts, or indicate that they can volunteer to carpool. The flexibility of Forms and add-ons make it a great tool to wrangle in your volunteers. For example, if Prom is a particularly popular volunteer activity, you can use the add-on formLimiter to stop accepting sign-ups after you have hit your maximum. If you want to divide the form into shifts, you can combine formLimiter and Choice Eliminator. The flexibility of Google Forms make this a great tool for wrangling your volunteers, collecting contact information, and organizing them effectively. 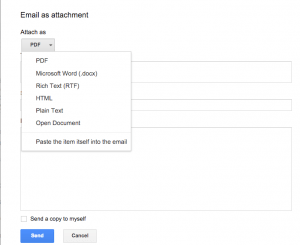 Google Forms is one of the most flexible tools within the Google platform. Not only is it useful as a classroom tool, but for administrative tasks as well. These are only five options, however I encourage you to play with this and find ways that it can make your life easier. Post your suggestions below! This entry was posted in Education, Educational Resources, Educational Technology, Google, Technology and tagged Ed Tech, EdTech, Education, Education Technology, Educational Resources, Educational Technology, google apps, Google Docs, google drive, google forms on August 22, 2016 by Jennifer Carey. Google Docs is a popular word processing tool. However, many people don’t realize that there are 4 great add-ons for Math that allow teachers and students to harness the power of Google. You can add any of these features to a Google Doc by selecting Add-ons → Get Add-ons. Sometimes you just need a simple calculator to check your work or perform calculations. Add a calculator to any Google Doc by adding… read the rest of this article at FreeTech4Teachers. This entry was posted in Education, Educational Resources, Educational Technology, Google and tagged Education, Education Technology, Educational Resources, Educational Technology, GAFE, Google, google apps, Google Docs on November 12, 2015 by Jennifer Carey.